After 11 years of fundraising the Greater Santa Barbara Ice Skating Association (GSBISA) announced on Nov. 6 that its state-of-the-art ice skating rink in Goleta, Ice in Paradise, is set to break ground later this month. The projected completion date is September 2015. Set on 1.3 acres of land that was donated by an affiliate of the Wynmark Co., the 46,500-sq.-ft. facility will be located at the corner of Santa Felicia Drive and Storke Road in Goleta next toGirsh Park. Upon completion Ice in Paradise will include a regulation-sized NHL rink (200-ft. x 85-ft.) and a 100-ft. x 60-ft. junior rink. The facility will also include six team locker rooms, a figure skating room, specially equipped adaptive sports locker room, food concessions and 700 pair of rental skates for general skating sessions. In addition, a homework center onsite will provide wireless internet and a quiet place for students to concentrate on school work when they are not on the ice. Ice in Paradise will serve the community as a permanent facility for year-round public recreation, figure skating and hockey for all ages and abilities. In addition, it will offer specialized programs such as adaptive ice sports for skaters with physical disabilities and mobility-impaired athletes and offer unique recreational opportunities and equipment such as sled hockey for Wounded Warriors. According to the GSBISA website, “Adaptive Ice Sports will be offered as the ice rink will be fully ADA accessible including locker rooms, specialized ramps to the ice, benches and viewing areas.” It is the first facility west of the Mississippi to be designed with full-service adaptive sports capabilities. A skating school will offer varied classes through private instruction, to schools, service organizations, and youth programs. Public skating will offer rotating daily sessions for tots, teenagers, college groups, adults and seniors. Those with Olympic dreams of bringing home the gold can train with highly-experienced instructors to perfect their skills in figure or pairs skating and ice dancing. Do you have a need for speed? Ice in Paradise will offer youth and adult ice hockey programs and leagues with coaching, practice and pick-up sessions, tournaments and camps. The community is encouraged to get involved and help with fundraising. Two programs, Buy a Brick and Naming Opportunities for locker rooms, main scoreboard, benches and more will kick off with groundbreaking efforts with a goal of raising an additional $1 million in donations over the next two years. A 501(c)(3) non-profit organization, the mission of GSBISA is to construct and operate an affordable public ice skating sports and recreational facility in the community of Santa Barbara for people of all ages and skill levels to enjoy. To learn more about Ice in Paradise, watch a video on YouTube featuring supporter and actor Alan Thicke https://www.youtube.com/watch?v=C3suq6StKS4. 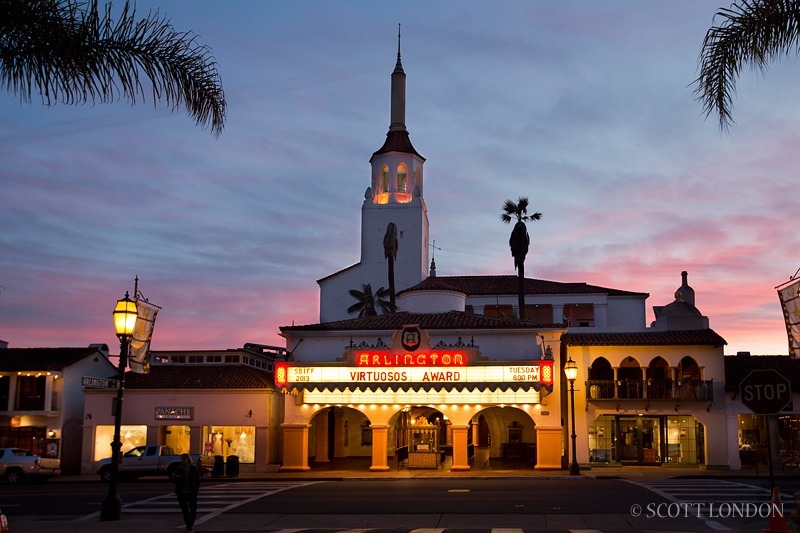 For residents of Santa Barbara and beyond, enjoying the performing arts is a way of life and a major attraction for the city. Fully embraced by the community the many ballet, opera, plays, musicals and live concerts are heralded as must-see events of the season. This fall and winter, live performances are varied and offer something for everyone to enjoy. For more information and scheduled performances, visit the websites for each theatre. 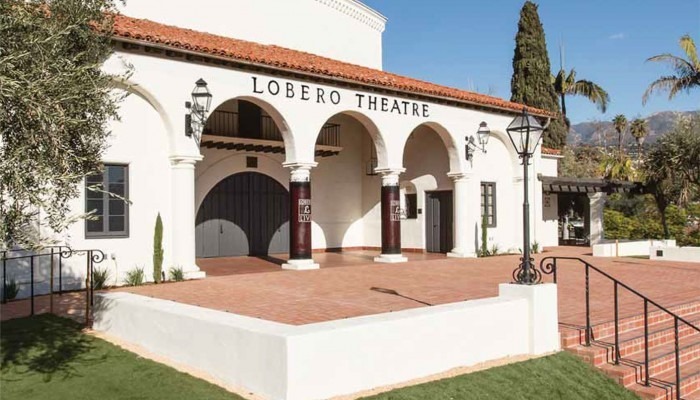 California’s oldest and continuously operating theatre, The Lobero Theatre, was originally founded in 1873 by Jose Lobero as an opera house and rebuilt in 1924 and is one of Santa Barbara’s architectural jewels and designated as a California Historical Landmark. Presenting cultural events on more than 250 calendar days annually, many companies call The Lobero its home stage, including Opera Santa Barbara, State Street Ballet, Santa Barbara Chamber Orchestra, Santa Barbara Youth Symphony, Flamenco Arts Festival, Santa Barbara Theatre, Music Academy of the West and many others. 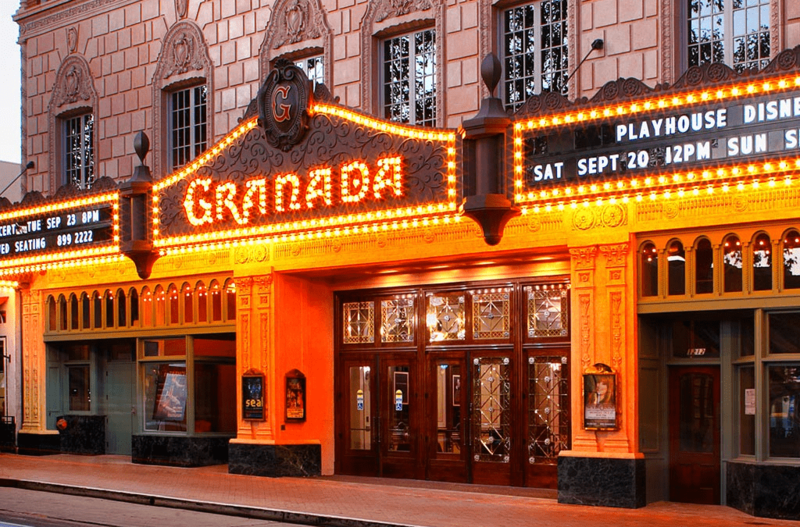 For 90 years, the iconic Granada Theatre has been an integral part of Santa Barbara’s arts and entertainment landscape and has hosted some of the greatest artists of the 20th Century, including Al Jolson, Charlie Chaplin, Fred Astaire, Henry Fonda, Yo Yo Ma, Steve Martin, the Berlin Philharmonic and many more. This season, patrons can enjoy the Czech Philharmonic, Beethoven presented by the Santa Barbara Symphony on Nov. 15-16, comic legend John Cleese on Nov. 19, musician Christopher Cross on Nov. 22 , Tower of Power on Dec. 6 and the legendary ballet tale of The Nutcracker performed by State Street Ballet Dec 20-21. Many ongoing monthly presentations and film presentations round out the options for children, families and adults. For tickets, call the Granada box office at 899-2222 or purchase online. 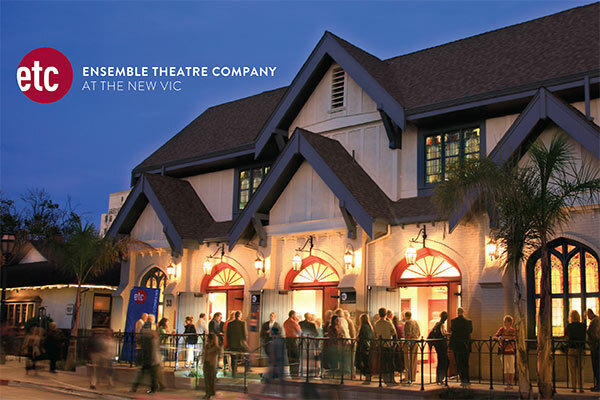 The Ensemble Company at the New Vic in downtown Santa Barbara, a newly remodeled $15 million state-of-the-art theatre, will present live stage performances including the U.S. premier of “The Best Brothers” from Dec. 4-21. A hit at the Stratford Festival, this comedy with heart centers around two brothers, a dog and a lifetime of issues to sort through on stage. Celebrating its 36th year, the five-play season will run through June, 2015. Tickets are available online or by calling the box office at 965-5400. The Music Academy of the West was founded in 1947 by a group of visionary Southern California arts patrons and musicians, including the legendary soprano Lotte Lehmann and the famed conductor Otto Klemperer. The Danish String Quartet makes their Santa Barbara debut on Nov. 18 and will include the West Coast premiere of a piece written for them by Thomas Agerfeldt Olesen, plus string quartets by Haydn and Beethoven. Tickets can be purchased online or by calling 969-8787.Founded in 1994, Opera Santa Barbara produces a diverse repertoire of traditional and contemporary operas that engage and excite a broad audience. Over the past 19 years, it has presented 48 operas and provided thousands of hours of educational programs to the local community. Tickets for the acclaimed Rigoletto opera by Giuseppe Verdi will be performed in Italian with English Supertitles on Nov. 7 and 9 can be purchased at the Granada Theatre box office (where the performance will take place), or online.